“Ideas Mela” – What an Idea, Sirji !!! Years ago, I was attending a business conference at a resort type place few miles off Mumbai. While our meeting was in a usual conference room and in a typical business setting, there was another business meeting going on albeit in an offbeat mood. I could see quite a few signs of “Ideas Mela” in and around the swimming pool. Could also see quite a few seemingly “creative” types floating in water on “Ideas Mela” branded floats. On further enquiry, I was told that “Ideas Mela” was an Annual ritual held by a renowned ad agency with their team where they try to unwind and come up with some big ideas for their clients !!! I’m not sure if the team of ‘Hindustan Unilever’ and their campaign agency ‘Ogilvy Action’ had an “Ideas Mela” to come up with that brilliant idea to promote ‘Lifebuoy’ during ‘Kumbh Mela’ a relegious congregation which happens once in 3 years in different locations in different scales. 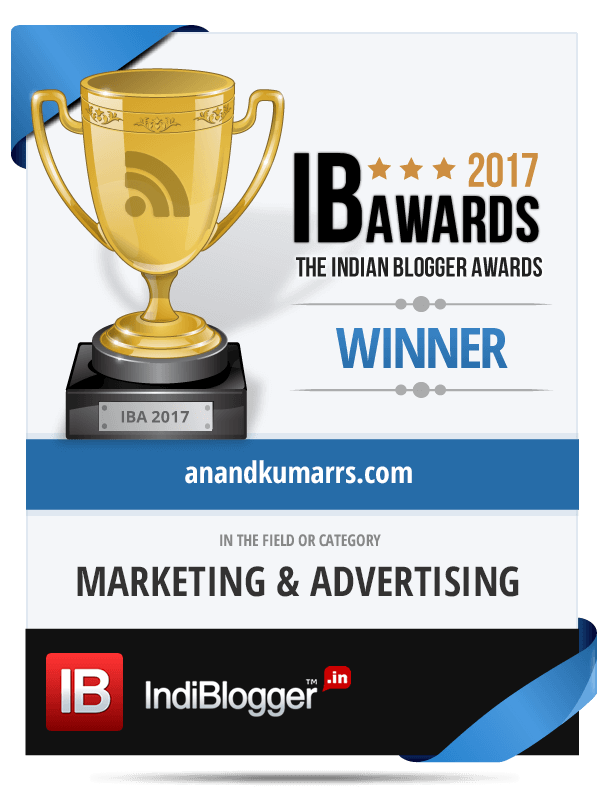 This campaign which has now got into the coveted list of media innovations in India has ‘Incredible India’ written or stamped all over it. The brand team has reportedly teamed up with over 100 hotels and dhabas in and around the ‘Kumbh’ site to serve ‘rotis’ that are stamped with “Lifebuoy se haath dhoye kya?” (Have you washed your hand with Lifebuoy?). 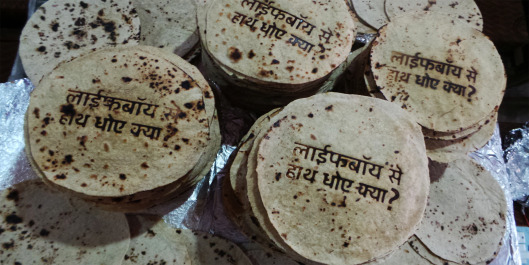 Given the fact that ‘roti’ is the staple diet with the North Indians, serving the same hot with a reminder message is expected to reach more than 3 million visitors. And the massive PR follow up coverage on the unique and interesting campaign that followed is expected to reach few more millions all over the country. Using the ‘roti’ as the medium for communicating the importance of ‘hand washing’ particularly in a mass congregation of the ‘Kumbh’ type is certainly a master stroke and a brilliant media innovation. Roti oops topi off to the creative team !!! Similarly I was personally experienced to another interesting media innovation on a Sunday morning last year (2012). As I picked up the Sunday Times of India and began to read, a strong aroma of coffee emanated and tempted me to get back to my old coffee days. It’s been a while since I switched loyalties from Coffee to Tea. As I kept wondering where the strong aroma was coming from, I saw the ad in the 1st page for (again) Hindustan Unilever’s flagship coffee product – ‘Bru Gold’. The Sunday TOI edition of that day in Mumbai, Delhi and Bangalore broke the smell sense barrier and came with a strong coffee flavour to lure consumers to the coffee brand. 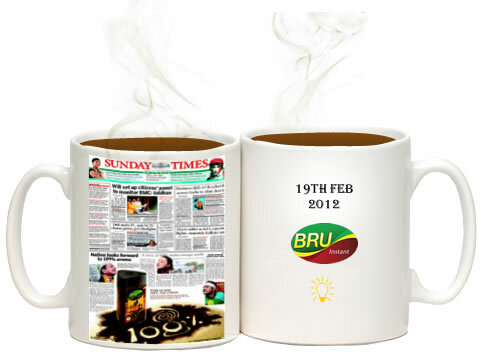 Aroma of actual coffee, ad for the same, newspaper, Sunday,.. all add to the weekend morning mood. I think it was an excellent idea to use a media innovatively. I realized that HUL had missed out ‘Chennai’ a city of coffee connoisseurs for this innovative campaign. Well, can a Bru Gold beat that ubiquitous ‘filter Kaapi’??? In the land of filter Kaapi trying to push any other form of coffee would have petered out I guess. Recently I was also impressed to see another media innovation to promote the World TV première of the film – on Zee TV on the 29th Dec 2012. 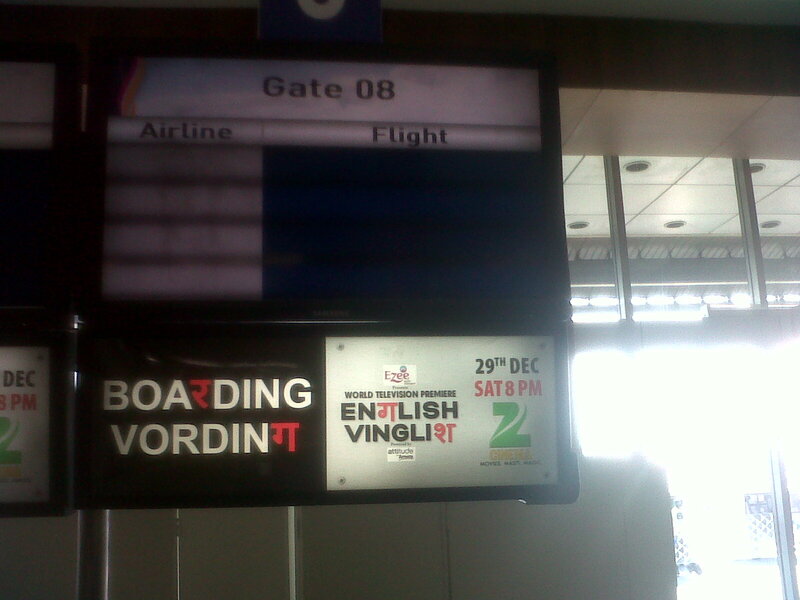 Few days before that when I was in the Mumbai Airport, I could see English Vinglish signboards at the check in counters, boarding gates, near the luggage conveyors,.. I thought for a product with a short life, using such media was certainly low cost and at the same time inventive. The director of the movie, Gauri Shinde who signed a whole sale contract for the “Best Debutant Director” trophy in all the film award shows this year stretched the film’s branding further when in the thanks giving speech at ‘Screen Awards’ she thanked ‘Screen Veen’ !!! A bit over board no??? A smart media innovation not surprising for a brand which boasts of some great creative stuff in the country! 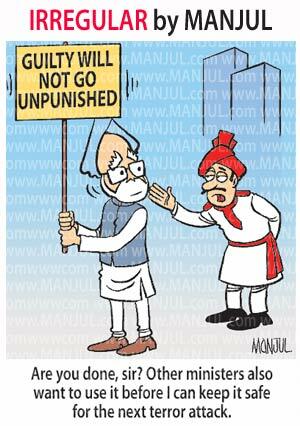 This idea has limited scope but certainly tongue in cheek! There’s another media ingenuity which comes to my mind here. I‘ve seen this (surprisingly) only at the Bengaluru airport. These days as we all know and endure, the security routine at airports is quite elaborate and calls for passengers to follow certain instructions like putting the mobile phones for scanning, removing laptops from the bags,…,.. So there you have, at the security area of the Bengaluru airport few TV screens which show what are the do’s and don’ts for the passengers. And these are in the form of very well made videos with “Zoo Zoo” characters of ‘Vodafone’ fame!!! I don’t recall seeing the Vodafone brand or the logo in the videos. Is it necessary? Vodafone was completing its quota of Corporate Social responsibility I guess. Still no respite from the Tax authorities, though!!! Another one from Vodafone. Though this will qualify for smart ambush marketing, the ingenious use of a medium brings this part of this post. On the final day of the F1 race in Noida ( Delhi ) last year, it was a “Toll Free Day” at the DND flyway – which many race enthusiasts used to reach the Budh International Circuit. This was thanks to Vodafone which sponsored this. The advertising message was – “Speed up for F1”. The idea resonated well with the event which is all about Speed thrills! That the F1 event had Vodafone’s main competitor “Airtel” as the title sponsor made it a very innovative and cheeky move !!! I liked the idea of that “Ideas Mela”. If ‘Kumbh Mela’ can be a congregation of not only bodies but minds and souls as they say, an “Ideas Mela” can be one for great ideas!!! For, today marketing communication or for that matter entire business is all about one “Big Idea”!!! 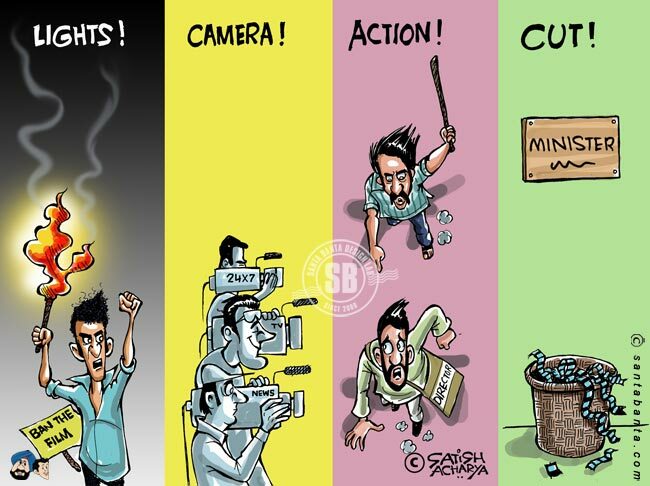 Events in the last 2 weeks proved beyond doubt that in this Kalyug, even a Vishwaroopam can be dwarfed and how! Kamal Haasan, the man who dwarfed himself 2 decades ago and played the role of a midget so well in the film Apoorva Sagotharargal (Appu Raja) wouldn’t have asked for this. This time his Magnum opus ‘Vishwaroopam’ was not allowed to show itself initially for 2 weeks in Tamil Nadu in anticipation of communal trouble – as a precaution. When have you seen any Govt. being so pro-active? What followed in the next few days dwarfed even a tense Indo-Pak one day game in terms of suspense, drama, turn of events and action. Ban, No Ban, Re Ban, Un ban, …,.. after a while it was beginning to get banal! On the 3rd of Feb as I am writing this piece, it looks like ‘Vishwaroopam’ will see the light of the day in TN after Kamal agreed for the film to be edited by some super editors. I hope he gives them their due in the title credits! From here on, I see this setting a rather dangerous precedent. Film makers must now plan for showing their movies before hand to different fringe groups and take their blessings even after they have the censor board clearance in hand if they show something mirroring the society. Not that this is new (if you recall Maniratnam and Ram Gopal Verma showing their movies –“Bombay” and “Sarkar” to Shiv Sena Chief Bal Thackeray and taking his nod before hitting the theatres) But this is certainly new for Chennai or other parts of India. There will be some group or other in our highly heterogeneous, populous and emotional country which will have an issue of something or other and threaten to upset the law and order situation. And imagine what would happen if that group happen to be a vote bank of the ruling party? I haven’t seen ‘Vishwaroopam’. From what I’ve heard and read in reviews, it certainly appears that it is not the 1st movie to have dealt with the subject it has. But it is certainly the 1st to have created such a big ruckus for doing that. Could it be that Mr.Haasan’s reputation of being a rebel came in the way of any rational discourse? Was there a need to pursue that at the risk of your major channel that too for a film where you have admittedly bet all your assets? 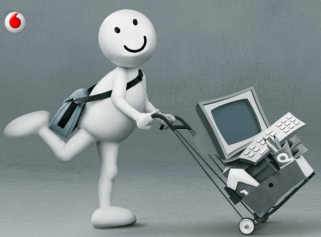 Would ‘Dell’ sell its laptops to Indian consumer today only through “E-Comm/Online” channel because that’s their global model? If there is no threat to the theatres and it is basically to tap the non theatre going audience – why can’t the DTH première be done after 2 weeks post the release? That audience in any case is not the one to catch first day first shows! Would it not have been better to have ticked off this idea 1st with a less expensive off beat movie where the risks are much lower – and call the theatre owners bluff even if they threaten to boycott? Considering that Kamal Hassan couldn’t have afforded a boycott for this film the high investments notwithstanding, I was convinced that the DTH posturing was more a clever PR drive to drive many of us directly to theatres as soon as the movie got released. That ‘Vishwaroopamic opening’ would have helped clear all his debts and ofcourse earned him accolades. With all the visibility in the media and the hype thanks to the DTH story, I thought that Kamal was hitting the bull’s eye. Would (I) throw it in the garbage? P.S: That these lines look like Kamal’s lines addressed to one ‘Amma’ who is considered a Goddess in TN is purely coincidental!!! Shocking ! #Suriya‘s eagerly awaited #Singam2 , now faces the wrath of a Muslim group!! “Villain in the film a Muslim pirate of Somalia! #Kadal update – A christian group led by a priest has filed a complaint against the film and demanded a ban on it 4 being “anti-christian”!